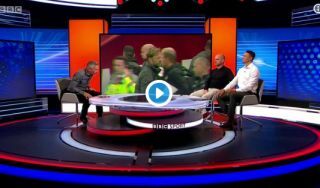 Match of the Day pundit Jermaine Jenas says he’d be ‘fuming’ if he’d got subbed off at half time like Xherdan Shaqiri did for Liverpool against Southampton. The Swiss winger made a fine start for the Reds as they raced into a 3-0 half time lead, though he didn’t make it out again for the second period. Jurgen Klopp explained his decision after the game as his attempts to try a different shape against the Saints didn’t seem to be working that well, despite the scoreline.